Briefly: Finally, we have an actual release date! Buried in the latest IMAX financial report (via The Film Stage) is mention of an actual release date for Terrence Malick's long-awaited IMAX movie Voyage of Time. We've been talking about this ever since The Tree of Life was released in 2011, as it was made around the same time and apparently some of the footage in the IMAX film was used in that film, too. IMAX will release "a documentary film, Voyage of Time," on October 7th, 2016. No other details were included, like a running time. Narrated by Brad Pitt & Cate Blanchett, the doc is an "examination of the birth and death of the known universe" - a voyage over millions of years, which was condensed into a sequence in Tree of Life. According to reports from just last year, Terrence Malick's Voyage of Time is being turned into two different versions - a slightly shorter IMAX cut and a full feature version (but we still don't know what will happen to that version). 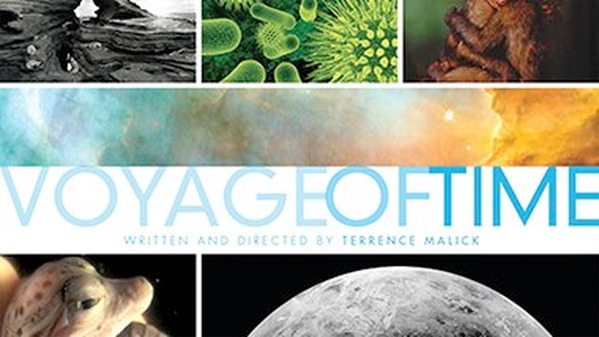 The most recent synopsis states: "Voyage of Time is a celebration of the earth, displaying the whole of time, from the birth of the universe to its final collapse. This film examines all that went to prepare the miracle that stands before us now. Science and spirit, birth and death, the grand cosmos and the minute life systems of our planet – all come together in Malick’s most ambitious film to date." It was also reported last year Ennio Morricone is scoring Voyage of Time, which is more than enough of a reason to see this. Can't wait for that enthralling introduction of a simmering pool of water. Someone has to stop Malick. the guy is really convinced that he is doing movies. So when is it opening in NYC??? ?